Hi! My name is Louis, but everyone just calls me Louie. 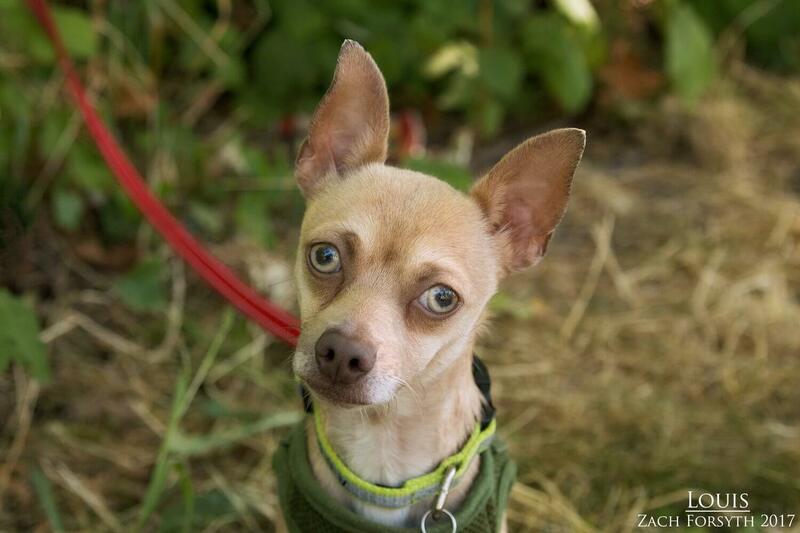 I am a cute and quirky 2 year old chihuahua mix weighing in at just around 7lbs. A few moments with me and you can see that I am playful guy with puppy like charm who is eager to bond! As you can tell in the video below, I am ready to have fun and play with my favorite toys out in the yard! Especially those tiny cat toys that are perfect for my size. 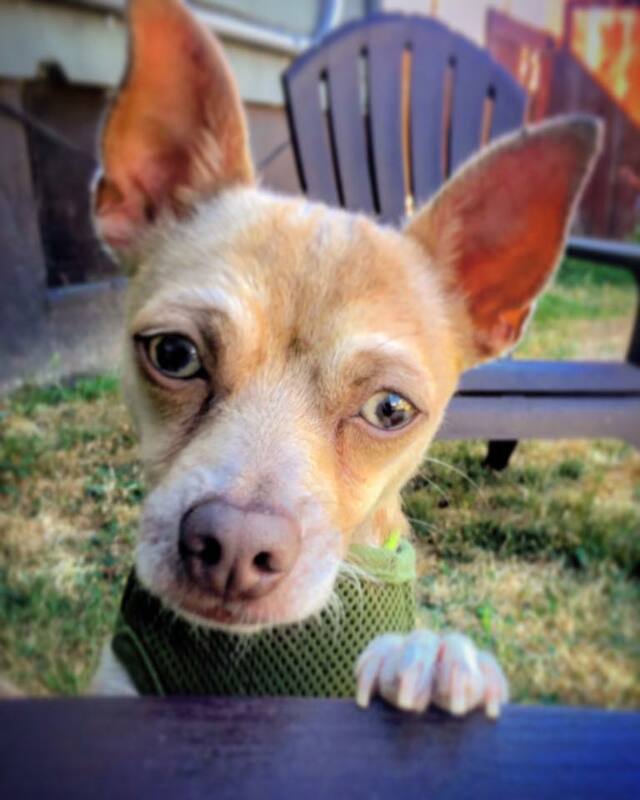 I am quick to open up with a treat or two, and I have really gained a lot of confidence thanks to my foster mom! My food motivation and willingness to learn adds up to me being a perfect candidate for some fun training tricks. Because I can be a little sensitive, I would need to be in a low traffic owned adult only home with another confident doggy pal or dog savvy kitty too. In fact, I love romping around with my doggy pals big or small, as my foster buddy is a big chocolate lab that I love snuggling with. I have really blossomed into a spunky and fun guy! Fill out an application today , so we can meet and play! I come to you vaccinated, micro-chipped, and neutered with an adoption fee of $300.